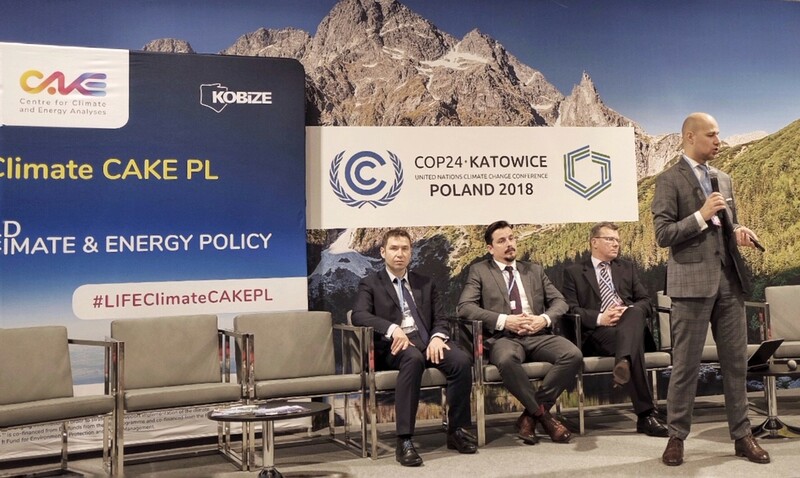 On the 10th December 2018 during the COP 24 UNFCCC United Nations Framework Convention on Climate Change in Katowice in Poland two side events by Climate CAKE PL project were organized. 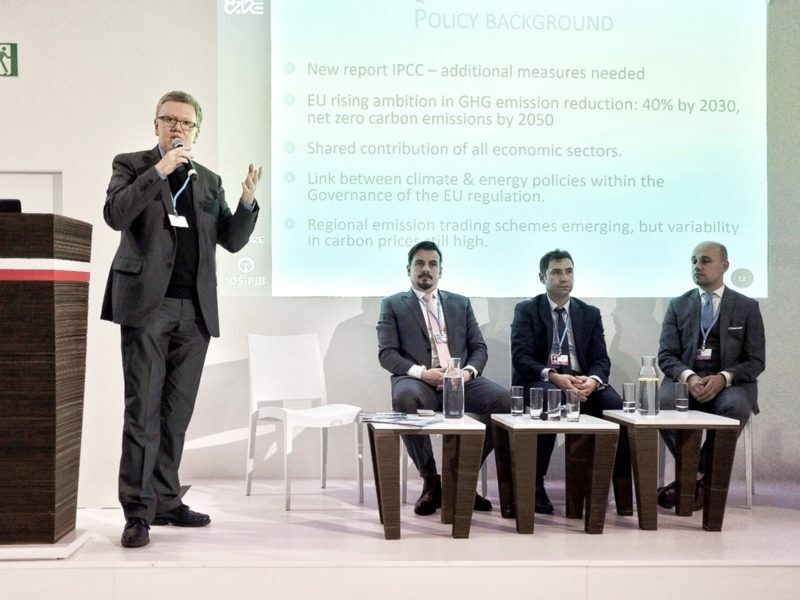 The first side event: „System of providing and disseminating information in order to support the strategic implementation of climate policy“ was held in the PCCB Capacity – Building Hub and was focused on the presentation of the framework of the project in the context of capacity building issue. 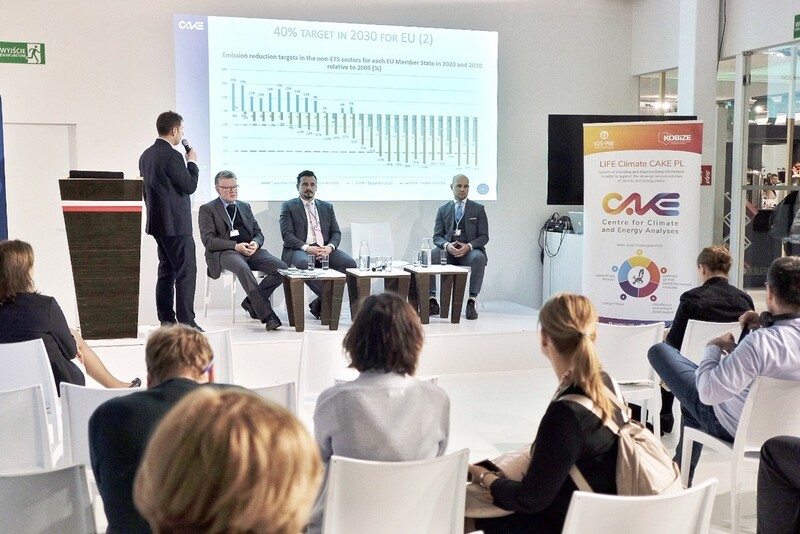 The second side event: „The risk of carbon leakage in the context of the higher ambition and increase of the EU greenhouse gas emission reduction target” – described first preliminary results of the carbon leakeage analysis and were presented to the audience of the UNFCCC Climate Change Conference. At the first side event LIFE Climate CAKE PL project concept and attitude to the challenge and goals identified were presented to the wider audience, as it was convened in the Paris Committee on Capacity-Building Hub (PCCB) side events, so it was realized in the framework of the wide range of activities of the Climate Change Convention. 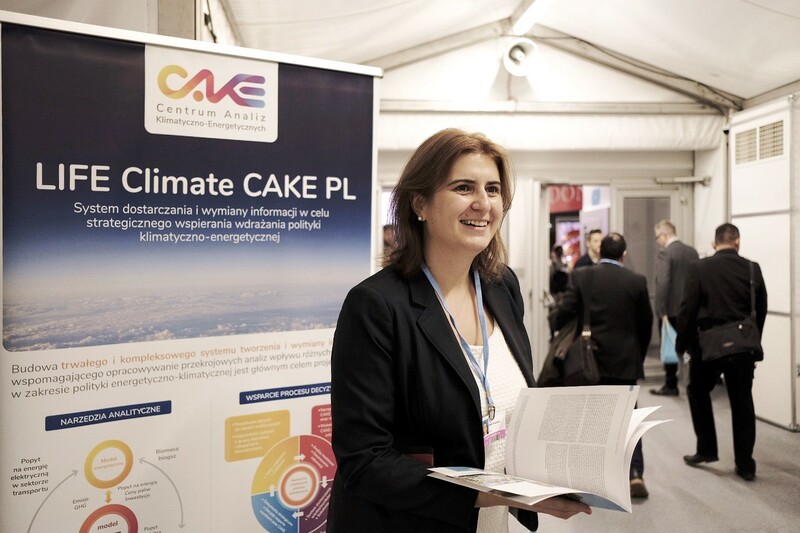 During the second side event which was organized in the Polish Pavilion during the Climate and Finance Day the Team of LIFE CAKE PL had the opportunity to present the first draft project outcomes on the analysis concerning carbon leakage – that refers to relocation of economic activities or investments, directly or indirectly causing greenhouse gas emissions out to countries under jurisdiction with less stringent policies concerning reduction of greenhouse gas emissions. 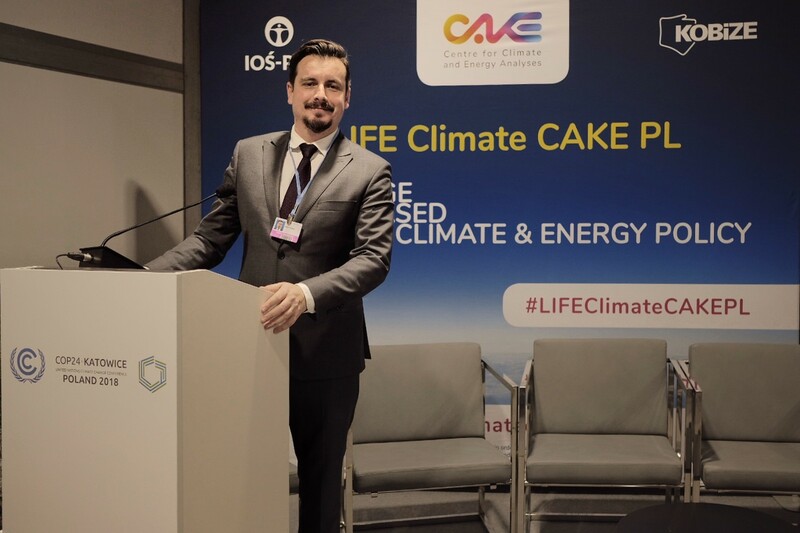 The Coordinator of the project presented main objectives and scope of the LIFE Climate CAKE PL project defined as „the development of a sustainable and comprehensive system in order to suport the process of decision-making within the public administration and building a comprehensive and consistent analytical toolkit, that would provide relevant and high quality knowledge”. 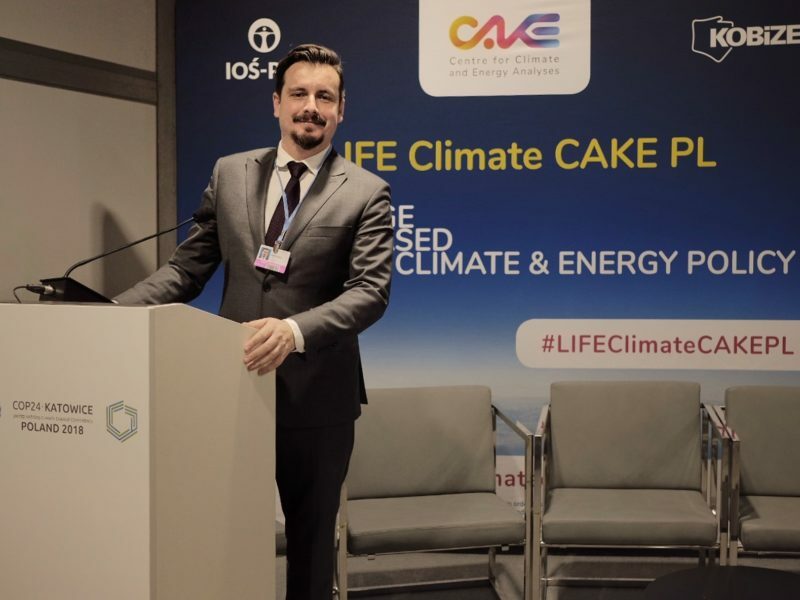 Project was presented also from the capacity building stream perspective by Mr. Maciej Cygler, who underlined that „knowledge, experience and specialized tools play an important role in the implementation of the goals of the project, in order to response to the needs identified from various stakeholders involved in the creation of the climate and energy policy”. 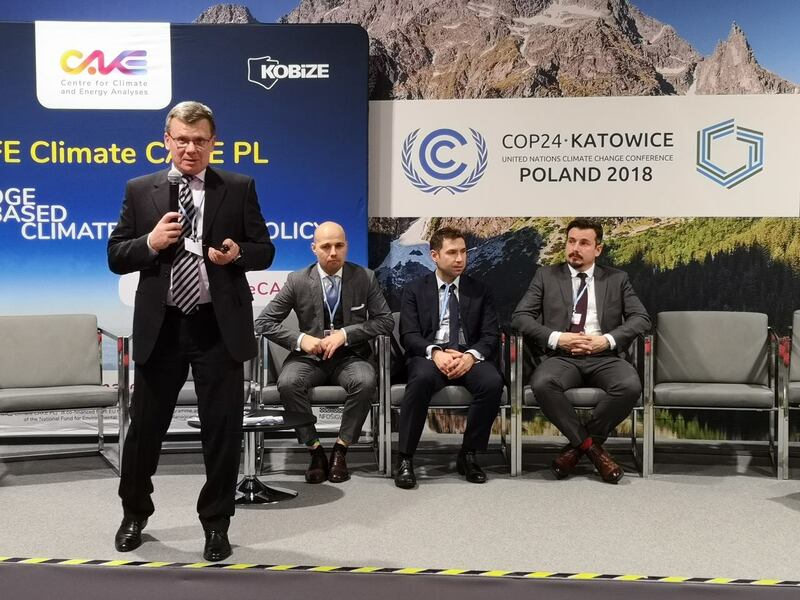 Mr. Maciej Pyrka stressed that „project had a great importance due to the models which are developed according to the present challenges on low emission transformation” and described in details the basis of analysis of this phenomenon. 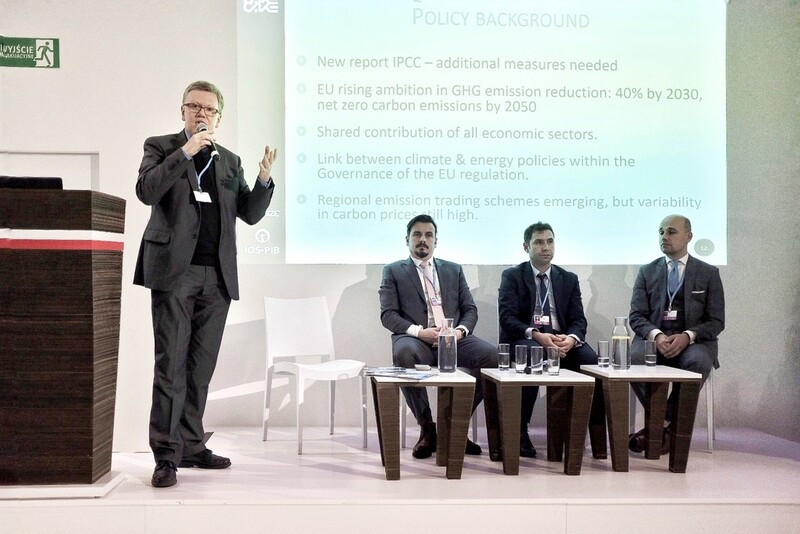 Mr. Jan Gąska infomed that „there are examples of linking the CGE models with transport, energy and agriculture models, this is the first that aims to integrate in one consistent framework the capabilities and potential of that models”. 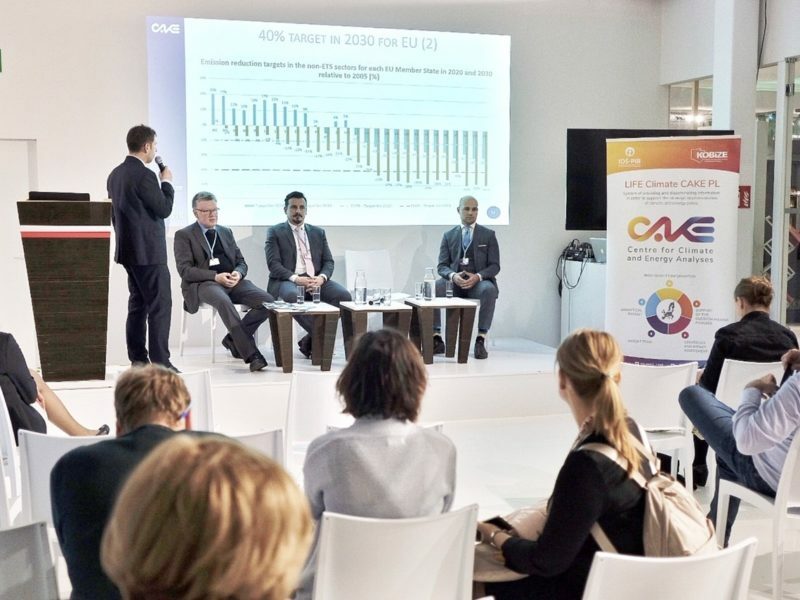 The second event was focused on the demonstration of the first draft results concerning the carbon leakeage analysis. Mr Robert Jeszke underlined that „as far as in the broad sense carbon leakeage is described as as a situation which may occur, when as a result of incresed costs caused by the implementation of climate and energy policies, companies would decide to shift production to other countries with less stringent emissions targets, apart from the economic aspects it should be noted that this action can lead to the increse of the global emissions. The risk of carbon leakeage may be much higher in some energy- intensive sectors. The proper understanding of the carbon leakage phenomenon is the key in order to design the relevant and effective political reaction”. Mr. Jan Gąska noticed that „in order to reduce the risk of carbon leakeage we need not only to support competetivness of specific sectors prone to carbon leakeage in the European Union, but also support the decrease of the emission intenisty of the sectors from outside of the EU by supporting the transfer of the relevant clean technologies”. 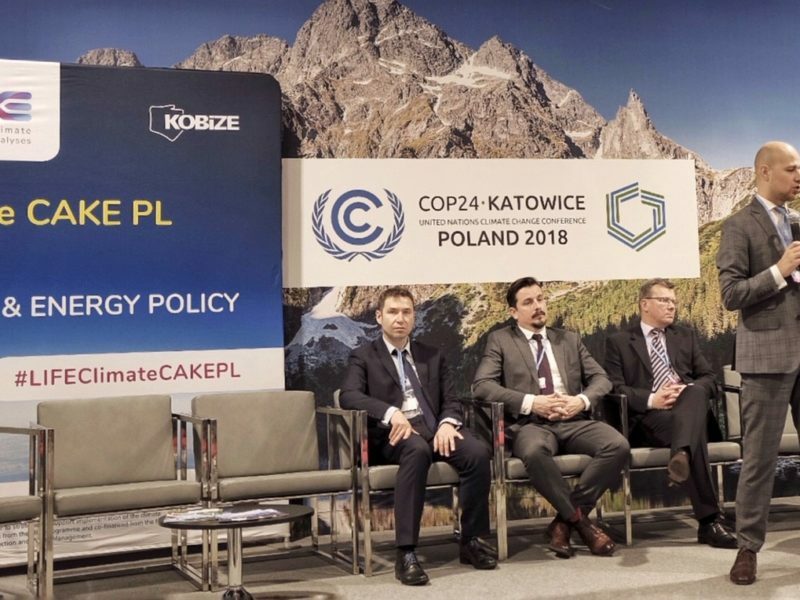 Aditionally Mr. Marian Mraz stressed that „even if there is no strong empirical evidence studies based on historical data for the existence of carbon leakeage, economic models estimates that the scale of carbon leakeage can range between 2% and 130%, dependent on the assumptions adopted”. 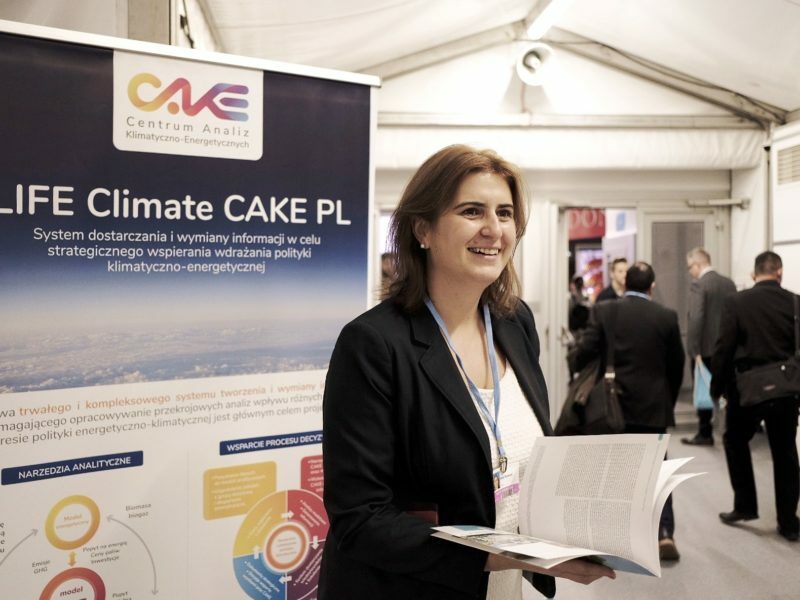 Participation in the COP 24 Climate Conference was an unique opportunity for the LIFE Climate CAKE PL where the first draft results of the project were presented and a range of contacts with other climatic stakeholders were established. More information at the UNFCCC website.